Will my scooter be damaged after one month of exposure uncovered? I have a newly restored '82 Yamaha Towny. I just ordered a heavy duty all weather cover, and as soon as it gets here it is going on it. However, for the past month my scooter has been chained up in the back of my apartment when not in use. It has been exposed to the elements: rain and weather fluctuation (not freezing though) I am just worried that this month of exposure has been bad for it. Any routine maintenance I should do on it due to the exposure? 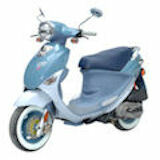 It is a two stroke. Comments for Will my scooter be damaged after one month of exposure uncovered? It'll be fine...my Honda Aero50 lived outside for nearly a decade. I'm sure others will give you a whole laundry list of things but the best thing you can do is oil your cables if necessary and any other pivot points you can find. Wax is not a bad thing either. Even a cover will only do so much as I discovered one time. I had one for a motorcycle I left outdoors and it still oxidized to some extent. Mostly keep an eye out for any sign of odd behavior from the time outside and take care of it and that's all you can do. Join in and write your own page! It's easy to do. How? 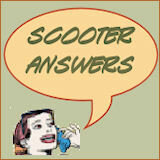 Simply click here to return to Scooter Questions - Other. 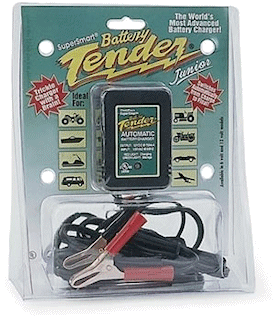 A battery tender like the Battery Tender Jr. can make all the difference in whether your scooter will start right up each spring, after being stored for months. 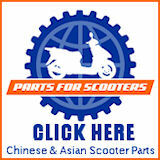 Just about every scooter owner needs to have a battery tender, sometimes called a trickle charger. Unless you are lucky enough to live in a climate where you can ride all year long, chances are your scooter will be put on ice, figuratively-speaking, for at least a couple months every winter. One of the key steps in winterizing a scooter is to protect your battery from draining during its "rest" period. This can – and will – happen if you leave your battery sitting untended in your cold scooter over the winter, even if it's in a garage or shed. ATTENTION! 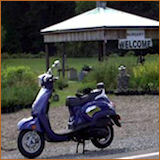 I have had to delete the Scooter Forum for this site, unfortunately. Despite my best efforts, I could not adequately prevent daily attacks by hackers and spammers. Even though most of their posts did not go public, they still cluttered up my website host's server space, jeopardizing my account. I appreciate everyone's contributions over the past few years and I apologize for having to do this. Wondering why your scooter question never got posted? Type everything in ALL CAPS? Type as though you were texting... all lower case? Forget to proofread for glaring typos? Use curse words or insult other posters? Asked a question that's already been answered? If you "checked yes" on any of the points above, then I've deleted your post. Sorry, but I have standards. Feel free to re-submit, following the instructions I have everywhere on the site. Also... all submissions have to be reviewed by me, and I am currently backlogged. Comments go live without approval, but still take 30 to 60 minutes to show up, so don't repost them, please. We have lots of unanswered questions... can you help? Also, check out our newest eScooter Club members We are growing every week! 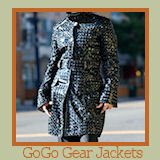 I support this site by using affiliate marketing and running Google ads. I earn a small commission when you purchase items here, which helps to keep the site afloat. Thank you for your support. 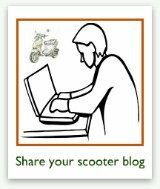 Copyright © 2007-2014 Motor-Scooters-Guide.com All rights reserved.